Then Talaputta who danced on a stage to entertain approached the Blessed One, bowed before the Blessed One and sat on a side. 3. Sitting on a side Talaputta who danced on a stage to entertain said to the Blessed One: Venerable sir, I have heard, the early teachers of teachers who danced say, `they that danced, said lies as truth to entertain people, made laughter and amusement in front of a crowd, after death will be born with the gods of laughter.’ What does the Blessed One say about this? Talaputta, enough of it, do not ask me! 5. For the third time, Talaputta who danced on a stage to entertain said to the Blessed One: Venerable sir, I have heard, the early teachers of teachers who danced say, `they that danced, said lies as truth to entertain people, made laughter and amusement in front of a crowd, after death will be born with the gods of laughter’ What does the Blessed One say about this? Talaputta, you do not gain by it! Enough! Do not ask me! Yet you ask me I will explain. 6. Talaputta, when beings are greedy, bound by greed, they dance in the midst of crowds and exhibit passionate things to increase attachment, pleasure, and enjoyment. Talaputta, when beings are hateful, bound by hate, they dance in the midst of crowds and exhibit hateful things to increase hatred. Talaputta, when beings are deluded, bound by delusion, they dance in the midst of crowds and exhibit deluded things to increase delusion. 7. These intoxicated and negligent beings intoxicate and cause negligence in others and after death are born in a hell called laughter. If it happens, they cling to a view, `they that danced, said lies as truth to entertain people, made laughter and amusement in front of a crowd, after death will be born with the gods of laughter.’ They will be born with the gods of laughter. It is wrong view to him. Gamini, to a person who has wrong view, I declare two courses of action either hell or an animal womb. 8. Hearing this, Talaputta who danced on a stage to entertain cried loudly with tears streaming. There! Talaputta, I told you it is useless! I told you do not ask me! Venerable sir, I do not cry for what the Blessed One has told, yet I have been deceived, enticed and cheated by the early teachers of teachers who knew, saying, `they that danced, said lies as truth to entertain people, made laughter and amusement in front of a crowd, after death will be born with the gods of laughter. 9. Venerable sir, now I understand, it is like something overturned is put upright, something covered is made manifest, as though the way was shown when someone has lost his way, as though an oil lamp is lighted for the darkness, for those who have sight to see forms. In this manner the Blessed One has explained the Teaching in many ways. Now I take refuge in the Blessed One. May I gain the going forth and the higher ordination in the Blessed One’s dispensation. 10. Talaputta who danced on a stage to entertain, gained the going forth and the higher ordination in the presence of the Blessed One. 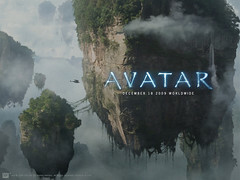 If the recent “The Avatar” movie shows us anything (and I won’t go into its content, because that’s what all of us do anyway day in and day out) it is the amazing fact of how our world is based on and shaped by our sense impressions – better still: how our cognition interprets the experience of sense-contact. This has a fascinating consequence: Similar to the simile of the movie experience [here] this technological advance could be an eye-opener for many samsaric travelers about the nature of their mind and senses. But, more realistically they will probably fall for it, like the devas do: More enticing sense impressions leading to more craving instead of a deeper realization of the “magic show of the mind”. clear seeing as unstable all that comes to be? This wish of mine, when indeed will it be? and to the wild woods gone, in bliss abide? in the woods alone? When indeed will it be? and twining everywhere? When indeed will it be? quick breaking Mara with his host? When indeed will it be? in goodly company of those esteeming Dhamma? Those with faculties subdued who see things as they are? Those who are ‘Thus’? When indeed will it be? in Giribbaja’s wilds? When indeed will it be? so very hard to see? When indeed will it be? as a raging blaze? When will this be for me? because of that? When will this be for me? the dhammas numberless? When will it be for me? by new falling rain? When indeed will it be? for attaining the undying? When indeed will it be? untouching go across? When indeed will it be? strive in concentrated states? When indeed will it be? of the Greatest Sage? When indeed will it be? what reason is there, mind, for you not to urge me on? even now, O mind, you are not pleased with me. why then lament when comes this time to arm? longing for, desirous of the Undying State. by mind they are led on to perish in hell. So indeed my mind you used to urge me on. 26. ‘Thoroughly examine the craved-for groups as Ill. Abandon that from which arises ill.
among the people beg with skull-like bowl in hand. So indeed my mind you used to urge at me on. when on me urge the unstable and the frail. 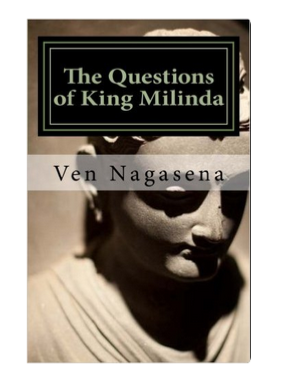 with mind Nibbana-turned I shall walk on. and therefore I agreed with you, O mind. but now you go back to habits made of old. never to that vomit can I make myself return. In many births I have not sought to anger you. long wandered on in ill create by you. or led by you indeed we come to gods’ estate. or led by you indeed be come to ghosts’ estate. but how, O mind, have you been failed by me? as a trainer’s hook the elephant in rut. cross me over the great floods so very hard to cross! and those like me are not by ruin wrapped. all the Three Becomings unstable and oppressed. Where, mind, having gone will you happily delight? 44. Firm, firm in my aim! What will you do, my mind? No longer in your power, mind, nor your follower. let be a thing filled full and flowing with nine streams. there will you delight to a grotto-lodging gone. will bring to you joy meditating in the wood. and soft that seat to me as cotton down. by taming makes supple a catskin bag. as a skilled trainer the elephant in rut. ever frequented by them who guard the mind. you shall, by all becomings, be without support. you will be an heir to the Speaker of the Best. He the sure cutter of fetters and bonds. so there you will delight on that unentangled mount. There is no doubt, mind, you’ll be established there. they driven on, O mind, servants are of thee. RealD 3D cinema technology uses circularly polarized light to produce stereoscopic image projection. Circular polarization technology has the advantage over linear polarization methods in that viewers are able to tilt their head and look about the theater naturally with no loss of 3D perception, whereas linear polarization projection requires viewers to keep their head orientation aligned within a narrow range of tilt for effective 3D perception; otherwise they may see double or darkened images. The projector alternately projects right-eye frames and left-eye frames 144 times per second. It circularly polarizes these frames, clockwise for the right eye and counterclockwise for the left eye. A push-pull electro-optical liquid crystal modulator called a ZScreen is placed immediately in front of the projector lens to switch polarization. The audience wears spectacles with oppositely circularly polarized lenses to ensure each eye sees only its designated frame, even if the head is tilted. In RealD Cinema, each frame is projected three times to reduce flicker, a system called triple flash. The source video is usually produced at 24 frames per second per eye (total 48 frames/s), which may result in subtle ghosting and stuttering on horizontal camera movements. A silver screen is used to maintain the light polarization upon reflection and to reduce reflection loss to counter the inherent losses by the polarization filters. The result is a 3D picture that seems to extend behind and in front of the screen itself.